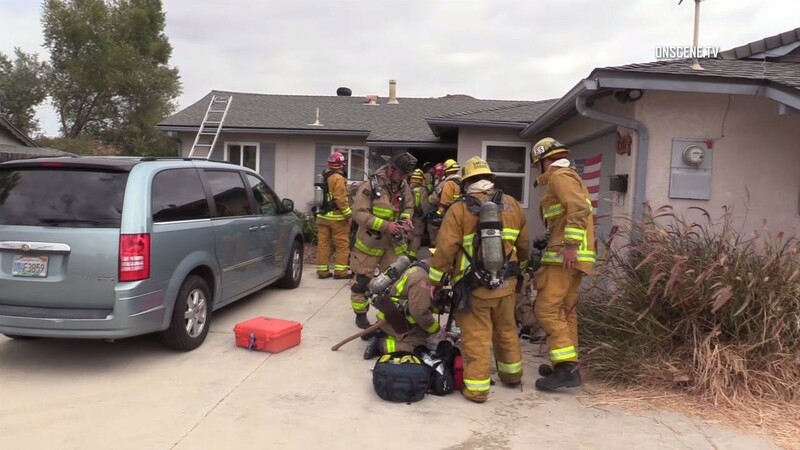 It took firefighters about 15 minutes Wednesday to quell a blaze that damaged a home and killed two dogs in a neighborhood near Cowles Mountain. Flames began spreading through the single-story house in the 8500 block of Big Rock Road in southwestern Santee shortly before 2 p.m., according to fire department officials. Crews were able to largely confine the blaze to the kitchen of the residence, which was unoccupied except for a pair of dogs when the blaze broke out, Division Chief John Garlow said. The personnel found the stricken pets inside and carried them out into the yard, where they tried in vain to resuscitate them.